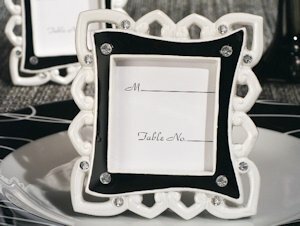 Add some pizzazz to your event tables with a place card frame that boasts style and sophistication! 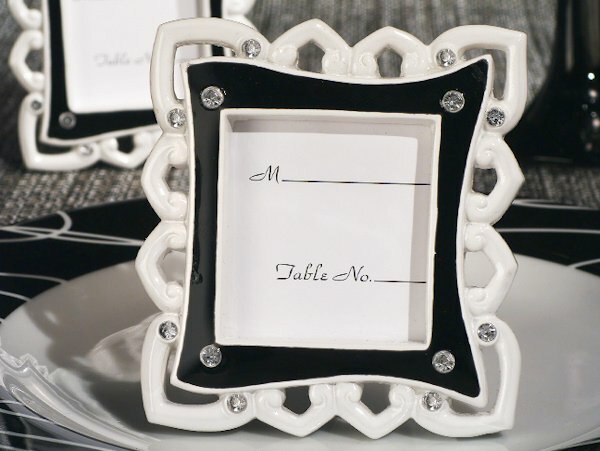 These frames feature a black and white enamel finish along with shimmering clear crystals. Your guests will be delighted to take one home to display a cherished photo. Each frame measures 3" x 3"
Comes individually packaged in a plain white box with place card insert included.